Two of Dream’s REITs have new chief financial officers at the helm this week. Jay Jiang was appointed the CFO of Dream Office REIT (D-UN-T), replacing Rajeev Viswanathan, who moved over to take a similar position with Dream Global REIT (DRG-UN-T). The moves were precipitated by the departure of Tamara Lawson from Dream Global REIT. Lawson left to pursue another opportunity, the trust said in a release. Jiang was formerly senior vice-president of strategic finance of Dream and was responsible for corporate development, strategy, finance and investor communications. Prior to joining Dream, he was part of the equity research team at BMO Capital Markets covering the Canadian real estate sector; and a manager at Ernst & Young LLP in the financial services assurance and advisory group. Jiang is a chartered professional accountant and chartered accountant. “Jay combines his deep financial experience in the real estate industry with a passion for business transformation and operational excellence,” said Michael Cooper, CEO of Dream Office REIT, in the release. Viswanathan has 18 years of corporate finance, treasury, financial planning, information technology and reporting experience. Prior to joining Dream he was senior vice-president, finance at Brookfield Asset Management. Viswanathan is a chartered professional accountant, chartered accountant and a chartered financial analyst who began his professional career at Ernst & Young LLP. “Rajeev brings specific operating and financial experience in the real estate industry and will help drive our strategic vision for the future,” said Jane Gavan, CEO of Dream Global REIT, in the release. Laetitia Pacaud has been hired as executive vice-president of business development by MDC. 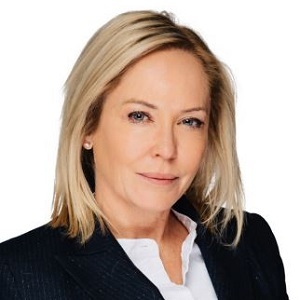 She will be tasked with growing the firm’s North American platform, leading growth initiatives in both Canada and the U.S. commencing with the launching of MDC’s second U.S. Multi-Family Fund. Pacaud is experienced in all aspects of real estate including acquisitions, investor relations, asset and property management, ﬁnancial reporting, both private and public, and has an extensive fund management background. Prior to MDC, Laetitia was a founding member and president of Strathallen Capital Corp. Other experience includes internal auditor of an Australian public company, several roles at KPMG, and financial controller of a Canadian real estate asset management firm. Under Laetitia’s leadership, Strathallen closed its largest transaction in 2017, the privatization of One REIT, acquiring 44 assets with a value of $703 million. MDC is focused on commercial real estate including retail, office, industrial, multi-family and mixed-use projects. MDC and its affiliates manage $2.8 billion in AUM and 12 million square feet of commercial real estate in Canada and the U.S. The Federation of Rental Housing Providers (FRPO) appointed Tony Irwin its new president and CEO. Daryl Chong of the Greater Toronto Apartment Association has been the interim president since Jim Murphy left the position in February. Irwin was formerly president and CEO at Canadian Consumer Finance Association, a national trade association representing businesses which provide a range of financial products to Canadians. Previously, Irwin was vice-president, North American government affairs, with Dollar Financial Group in Toronto, where he directed government affairs initiatives across Canada and the U.S. He also held posts with the Canadian Payday Loan Association, the Community Financial Services Association of America, Allstate Insurance Company of Canada, and the Justin Eves Foundation. Irwin has also held key political roles, including senior advisor to Ontario premier Ernie Eves in 2002-’03 before moving into a position with the Conservatives when they served as Official Opposition. He attended Huron University College at the University of Western Ontario where he obtained an Honours Bachelor of Arts in Political Science. Irwin takes over the position on Sept. 24. Marcus & Millichap has named Thierry Lessoil regional manager of its Montreal office. Lessoil has 30 years of commercial real estate investment sales and management experience. “Thierry’s expertise as an organizational leader and his real estate investment experience and deep knowledge of the greater Montreal region make him a strong fit to support the expansion of our platform in Canada,” said J.D. Parker, Marcus & Millichap senior vice-president and Northeastern division manager, in a prepared statement. Lessoil holds a bachelor’s degree in urban studies from McGill University. He most recently served as a managing director with Sun Life Investment Management, overseeing a $600-million portfolio of office, industrial, retail and multifamily properties in Montreal, Ottawa and Halifax. Working with Lessoil in Marcus & Millichap’s Montreal office will be Mickael Chaput and Michael Dermer, founders of McGill Commercial, and investment professionals Naomi Faraj, Louis Hoppenheim and Phillipe Marcotte. Marcus & Millichap employs 1,800 investment sales and financing professionals in the United States and Canada, and is a leading specialist in commercial real estate investment sales, financing, research and advisory services. Elain Duvall heads Real Estate Council of B.C. Elain Duvall is the new chair of the Real Estate Council of British Columbia. Duvall’s experience includes 10 years as executive director of the Columbia Housing Advisory Association, several years working at the Housing Centre at the City of Vancouver, and six years as a development manager for Progressive Homes Ltd., which specialized in developing and building non-profit housing. Duvall is a graduate of the Institute of Corporate Directors and has extensive governance experience, including 12 years on the Vancity Credit Union Board (three as chair) and nine years as governor of the Real Estate Foundation. Duvall replaces outgoing chair Robert Holmes. The council is the provincial regulator responsible for protecting consumers of real estate services. It controls licensing, investigates complaints, and enforces standards of conduct.